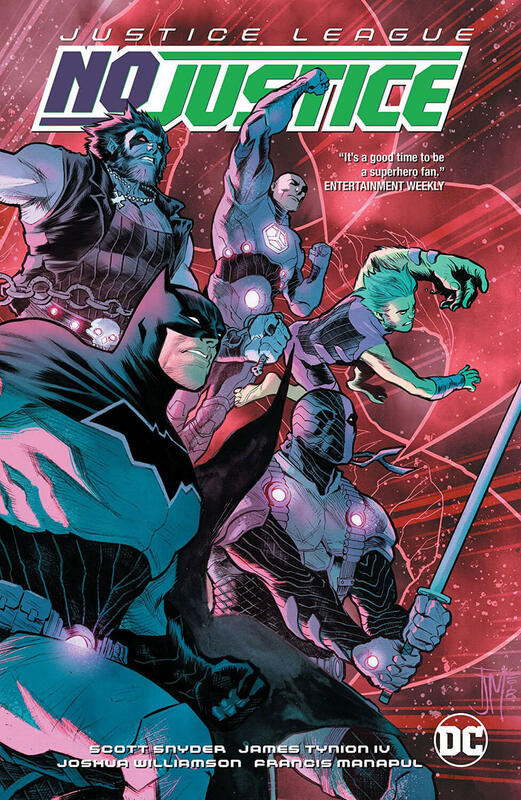 When an alien virus strikes Justice League Watchtower, Batman, Superman and Wonder Woman takes it upon themselves to save and humankind. 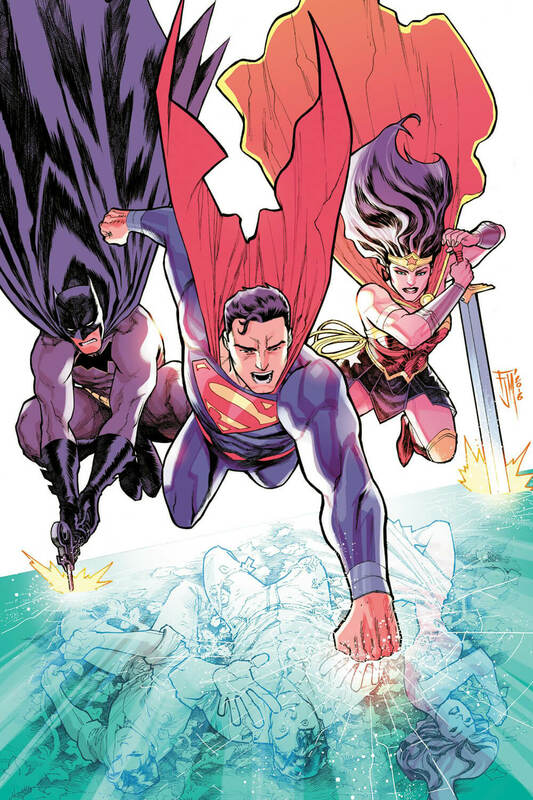 On his very own Fortress of Solitude, Superman brings along Batman and Wonder Woman to share about his recent life events after his encounter with Mister Mxyzptlk. He also reveals about the mysterious hooded entity her was visited by earlier who goes by the name Mister Oz, whom he thinks knows more about his life than himself. Lately, he was even having dreams of fighting against his younger self, Superman of Prime Earth who just wants his own life back. Only for the arrival of Bruce and Diana, they are finally stopped. Aside from Lois, Jon and Supergirl, Clark told no one about these visions and Bruce suggests him to keep it that way until they figure this out. 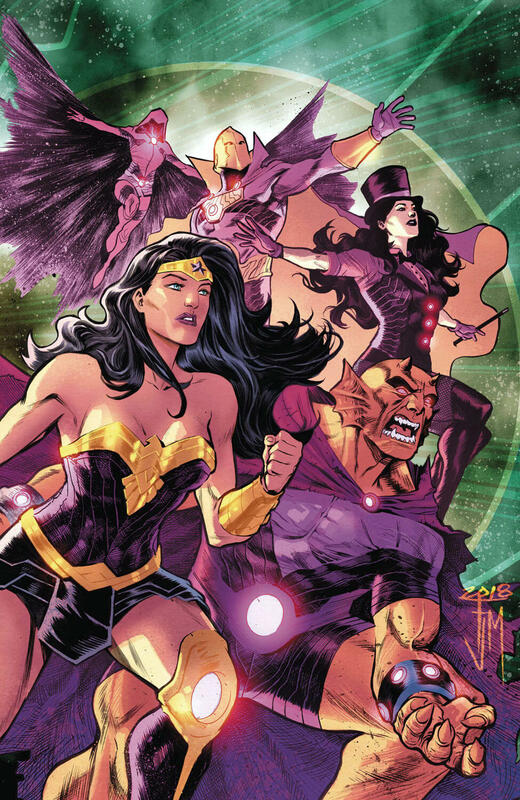 This Trinity of superheroes has reunited only a short while ago and has already gone through a lot when Mongul trapped them all within a dream world that they made out alive because of a sentient being called White Mercy. Clark takes his friends back in Smallville looking for her but then are teleported to Watchtower via Boom Tube. What they used to call headquarter is now in complete ruins, signaling an unknown breach and they discovered Cyborg being torn into parts. As Victor was losing breath, he was being carried out to lower levels of the satellite to get powered up but is ambushed by alien parasite infected Green Lantern Jessica Cruz and Simon Baz in midway. Even under the influence of alien virus, Simon asks for help before Jessica blew a hole and sending them all to space. The Dark Knight and Victor's remains are saved by The Flash who came just in time. 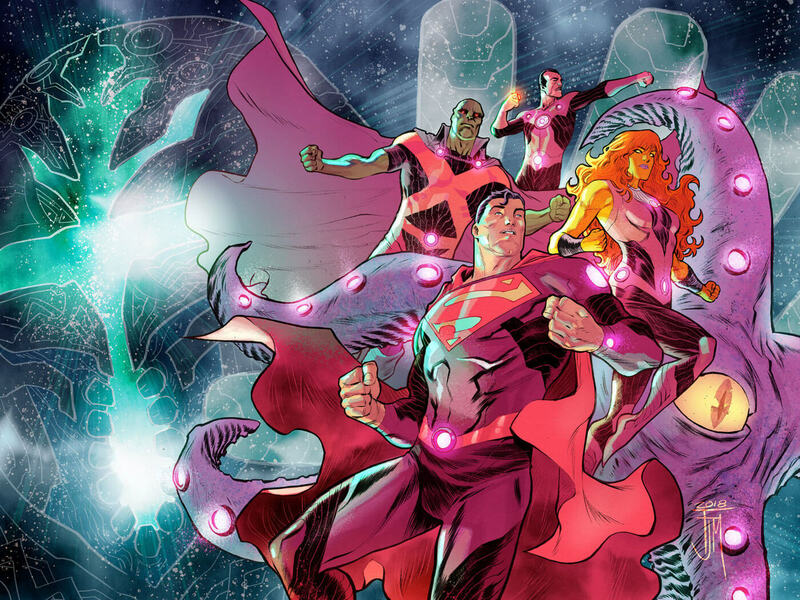 Barry reveals that it all started after a meteor shower that allowed these alien creatures to take over entire Justice League by storm. Superman and Wonder Woman returns to Watchtower through an opening and comes across an alien Traveler who informs them about a deadly alien virus that has spread on board, which will claim Earth if not completely destroyed soon. 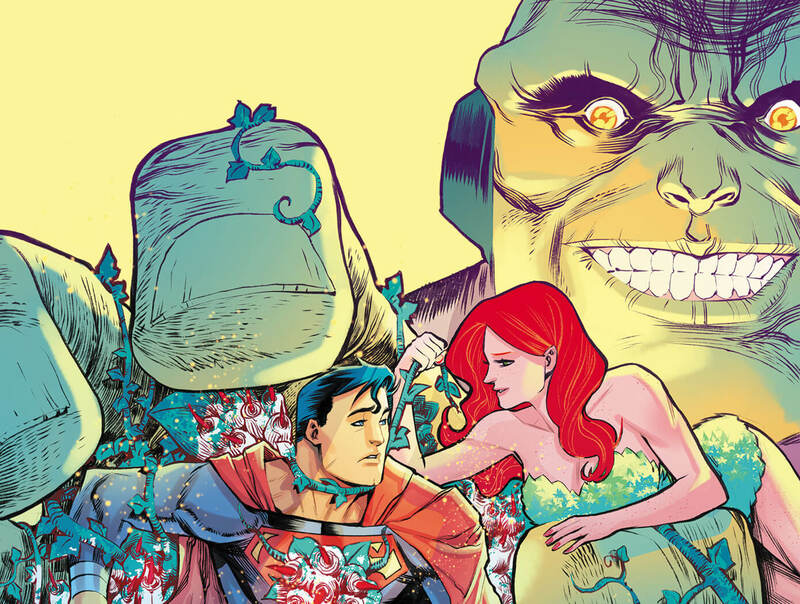 Despite the threat of mass-infection, Clark and Diana are not willing to hurt their friends. Batman and Flash gets attacked by an infected Aquaman out of nowhere, which forced Barry to take this fight away in spite of being slowed down by lack of gravity out there. Suddenly, the satellite starts moving from orbit and Man of Steel tries his best to somehow swing it past Earth when he is attacked by Jessica and Simon once again. With a giant alien mother engagingly lashing her deadly tentacles at him, the Caped Crusader races against time in a desperate bid to get help for Cyborg and save his life. In his attempt of running from it, Bruce gets stabbed once but he totally ignores it in order to reboot Victor's system and regulate his heart before it is too late. 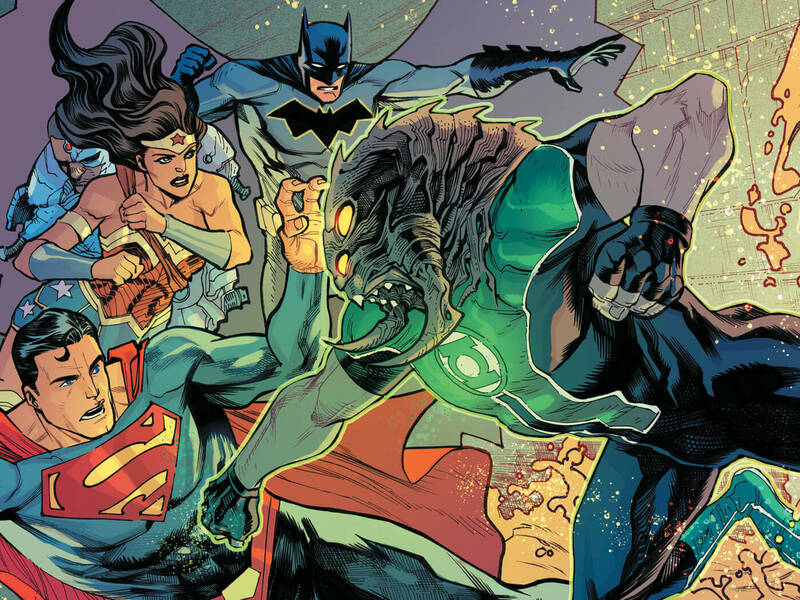 Arguing about lives of her closest allies, Diana eventually discovers a dark truth about the true origin of those extraterrestrial beings with a little help from her legendary Lasso of Truth when stumbled onto a locked chamber and turned into a monster. Elsewhere, villainous witch Circe has lured Lex Luthor and Ra's al Ghul to form their unholy Trinity. 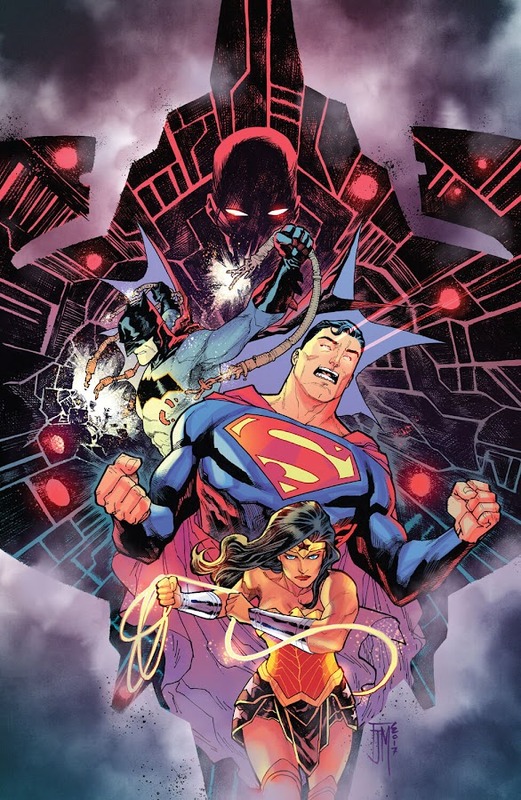 Though reluctant at first, Luthor and Ra's both consider this assembly as a temporary alliance to know more about her plan after besting a vile amalgamation of Batman, Superman and Wonder Woman emerging from Pandora Pits. 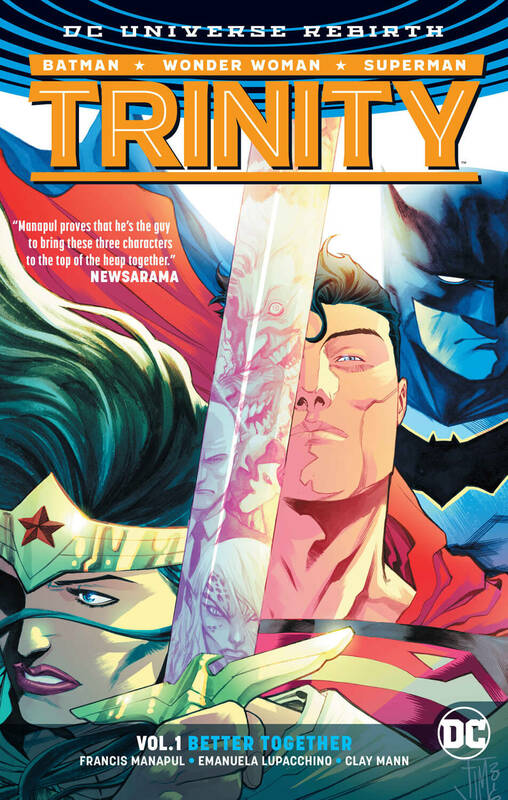 Here is your links to buy "Trinity – Dead Space" from DC Comics in issues on Amazon. 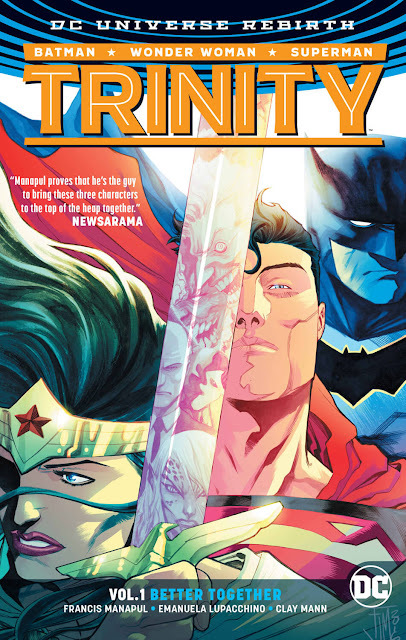 Here is your links to buy "Trinity – Dead Space" from DC Comics on Amazon. 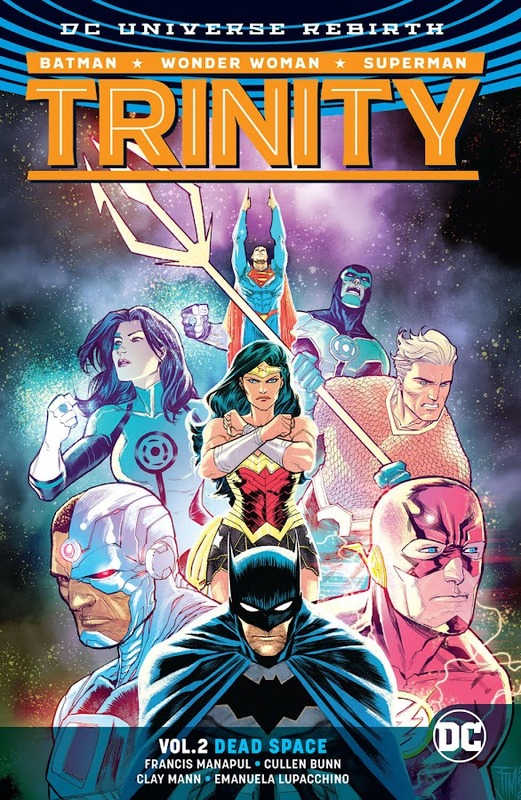 Following "DC Rebirth", Batman, Superman and Wonder Woman has gathered again for a new monthly ongoing Trinity series from DC Comics with writer/artist Francis Manapul (Justice League – No Justice, The Flash – Move Forward) spearheading it from start in "Better Together" storyline and continuing through "Dead Space". Manapul was assisted by Cullen Bunn (Sinestro – Rising, Sinestro – Sacrifice) on script as he worked on illustration alongside guest penciler Clay Mann (Batman – The Rules of Engagement, Batman – The War of Jokes and Riddles) and Emanuela Lupacchino. A reunion of three of world's greatest superheroes was quickly crashed by a former nemesis and now they face a challenge of saving all humankind from a fatal alien virus that claimed their dearest friends too. Their friendship and reliance on each other is put into test like they were in another major Crisis event of some sort for a while. Collecting issues #7-11 from second Trinity ongoing series, "Dead Space" catches onto recent events of Multiverse from "Superman Reborn" crossover and involves Justice League in main story. It also builds path for upcoming adventure in "Dark Destiny", where few mystical heroes and their "Dark Trinity" counterparts will cross paths. Previously, while facing the villain Turbine in the Speed Force, The Flash is sucked into Timestream vortex and ends up on the middle of an arena in Gorilla City, where Gorilla Grodd was devouring his recently deceased fathers' brain after defeating him in a mortal combat for the title of the new king. 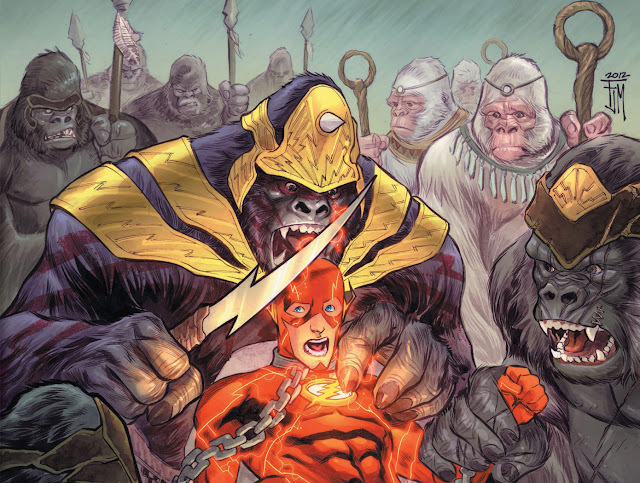 Though, elders of Gorilla City believes The Flash to be a divine messenger because of his symbol of "The Light", Grodd wants to consume his brain to gain his power of speed and since Barry Allen cannot remember anything before he came here, he ends up being captive. With help from elders of Gorilla City, Flash is eventually freed from Gorilla Grodd's captivity and returns to Central City only to find out people are protesting against The Flash for killing off Barry Allen. Thinking him as dead, Barry's girlfriend Patty Spivot files to Guatemala for solving the murder mystery of Claudio Mardon, brother of Weather Wizard. Patty is kidnapped and Flash believes Marco Mardon AKA Weather Wizard is responsible. Their fight reveals the identity of the killer to Marco and Flash races to save Patty but decides not to reveal the truth about him being alive. Captain Cold's sister Lisa Snart AKA Golden Glider assembles her own gang of Rogues by recruiting Heat Wave, Mirror Master and Weather Wizard one by one to exact revenge on her brother as well as scientist Darwin Elias. Being saved by Pied Piper and Trickster, Captain Cold joins Flash for a temporary team-up against their enemies but are they prepared to take King Grodd and his gorilla army? For more information on The Flash – Rogues Revolution storyline, you can check out the link below. Here is your links for “The Flash – Rogues Revolution" storyline from DC Comics in issues. 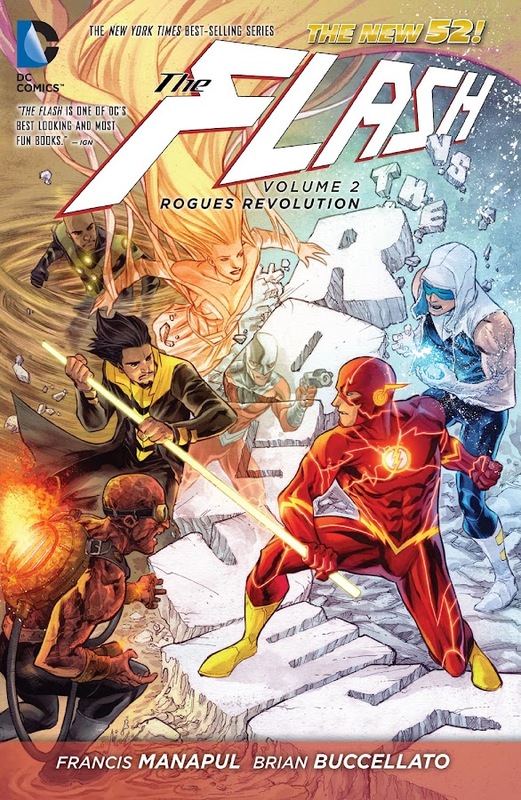 Here is your links for “The Flash – Rogues Revolution" storyline from DC Comics. Continuing from where the first storyline of The New 52 monthly ongoing series of The Flash titled "Move Forward" left off, "Rogues Revolution" starts anew from that point on 2012 from DC Comics. Collecting issues #09-12 and Annual #01, the story also features the #0 issue from the fourth ongoing volume of Flash comic-book series as a back-up, to relive Barry Allen's origin on Prime Earth after Flashpoint. Previously serving as artist, Francis Manapul (Legion of Superheroes, Magdalena/Vampirella) joined writer Brian Buccellato (Forever Evil – Rogues Rebellion, The Flash – Reverse) on plotting and Marcus To has also showcased his illustration talent on issues #10-11. Barry Allen will return as Flash to confront King Grodd in the next storyline "Gorilla Warfare". Forensic scientist Barry Allen asks his co-worker Patty Spivot out for a date to a Tech Conference at Central City that took him almost two years. As the environment was perfect for him and they were having a nice time, Barry suddenly gets to meet renowned researcher Dr. Darwin Elias. They were discussing about a model of monorail when a group of thugs broke into the exhibit by crushing down the ceiling of the building. While they were busy putting the crowd on sleep by gassing them, Barry soon turns into his alter ego of the fastest man alive; The Flash and starts taking out the thugs one by one. Seeing their mission jeopardized by the presence of the speedster, the thugs started fleeing and Barry gives them chase to the roof but one of them is captured by him. Flash manages to catch one of the crooks and crash lands into the sewer after vibrating through buildings. He hands over a Portable Genome Re-Coder that the group was trying to steal to Dr. Elias and then reverts back to his civilian form. Patty tells Barry that they left a body and as they get to the scene, Barry recognizes him as his old friend Manuel Lago. Looking for an answer, he gets into investigation, trying to find out the connection between Manuel and the DNA Re-Coder, of which Iris West is seems pretty interested. Out of the blue, he discovers a very much alive Manuel in his apartment who tells him to keep up and Barry notices two other copies of Manuel chasing them. The gang of Manuel calls them Mob Rule and The Flash is after the link between his friend and the Mob. 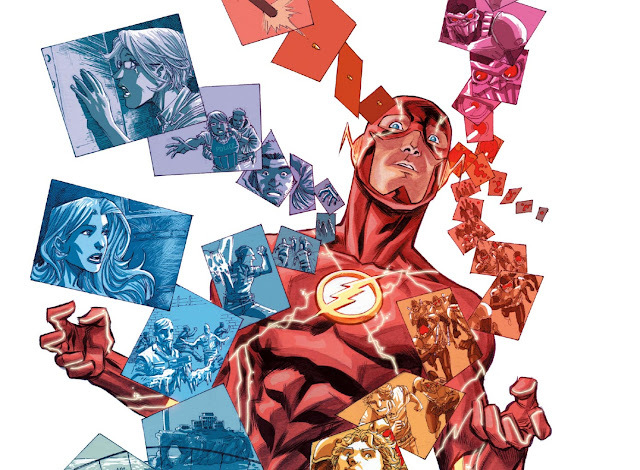 For more information on The Flash – Move Forward storyline, you can check out the link below. 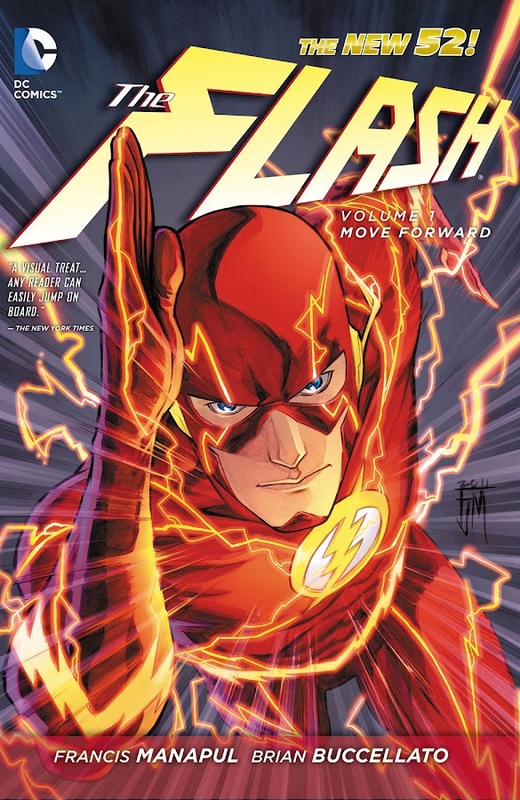 Here is your links for “The Flash – Move Forward" storyline from DC Comics in issues. 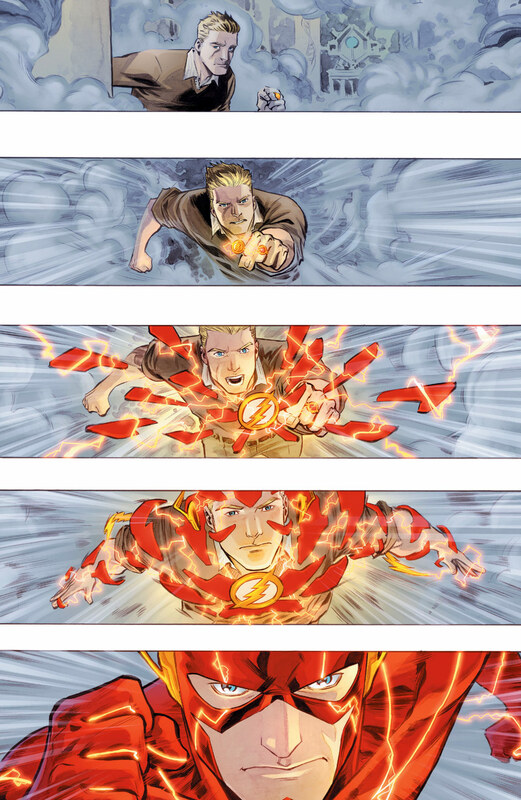 Here is your links for “The Flash – Move Forward" storyline from DC Comics. In the Post-Flashpoint event, DC Comics took a reboot of an entire timeline that is called The New 52 and Flash as well as other characters got their new monthly ongoing series. 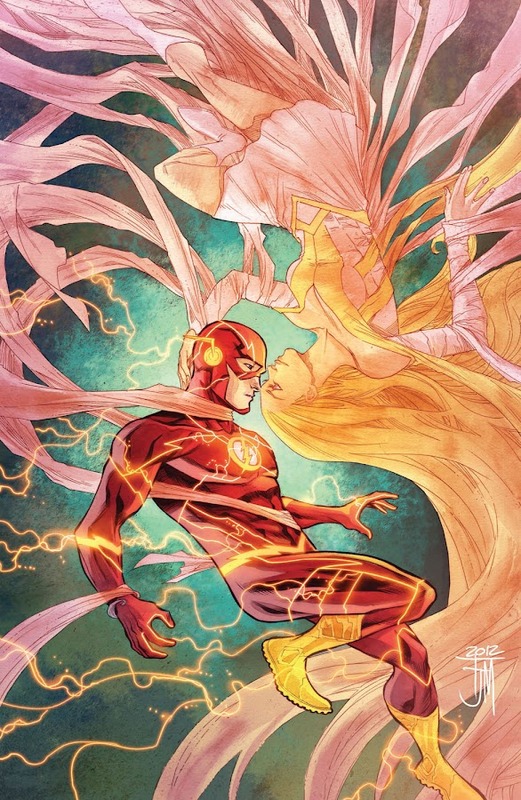 Writer Brian Buccellato (Forever Evil – Rogues Rebellion, The Flash – Reverse) and artist Francis Manapul (Magdalena/Vampirella, Witchblade) took on the fourth ongoing volume of The Flash and started with the storyline “Move Forward” that contains the first eight issues of the series. Two of Flash's Rogues; Captain Cold and Gorilla Grodd also appears in the story that is going to be significant in their future endeavors. The story successfully continues with the following plot titled “Rogues Revolution”, featuring the creative works of Buccellato and Manapul duo.